Inside: We are showing you how to make paper pinwheels! The invitations have been handmade with adorable pinwheels on the front and stamped in letters to create an artistic contrast. The stage is easily being set for a lovely afternoon party by sending a strand of plastic pearls to each girl invited. 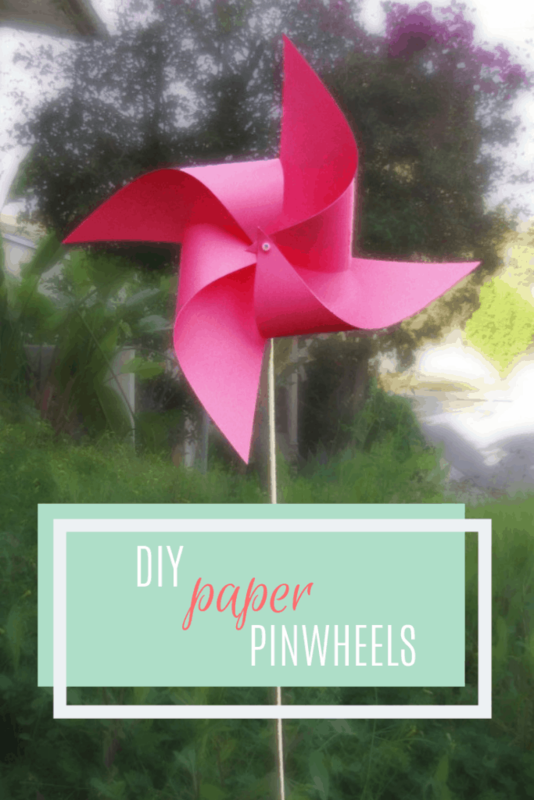 How to make a paper pinwheel- a super easy tutorial (a.k.a the mom with twin toddlers version)- use it as a jumping off point for your own invitations or as a simple spring craft to liven up a warm afternoon. 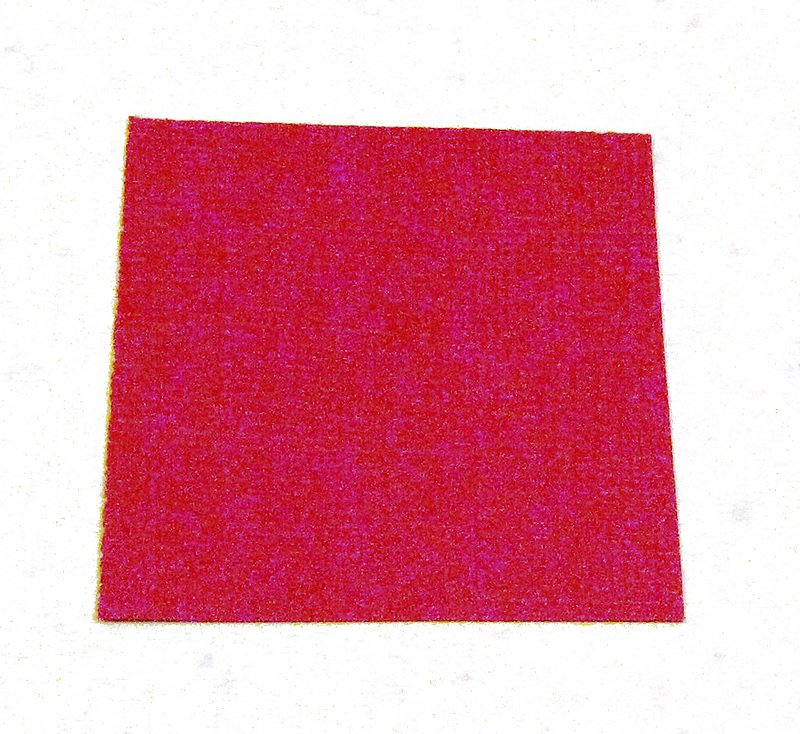 Start with one square of paper. Any size will work, we have been busy making both 2 inch & 12 inch ones. 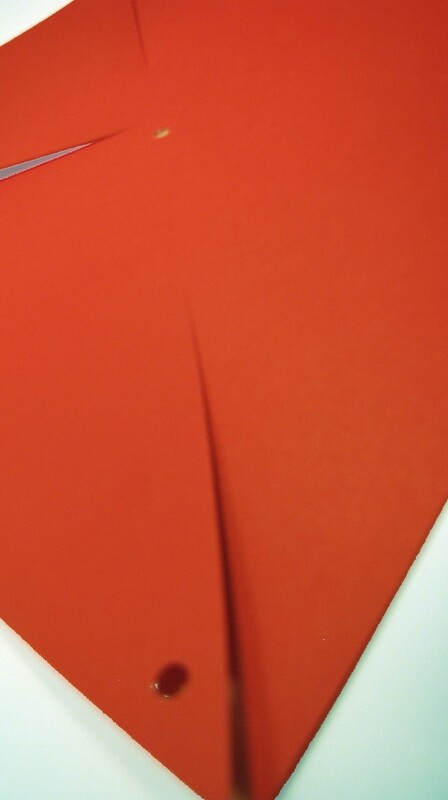 Cut a diagonal line in towards the center from each of the four points. Do not cut all the way through to the center, stop just before it. 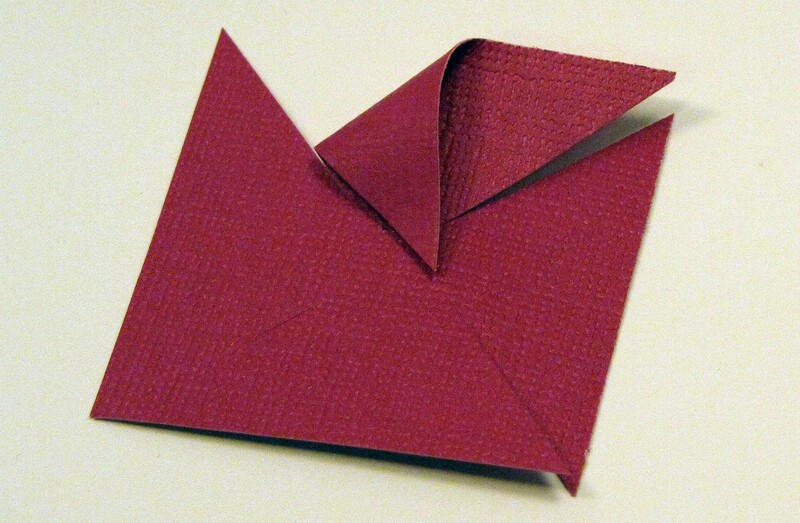 Fold over one corner into the center of the square… Repeat with the other four. 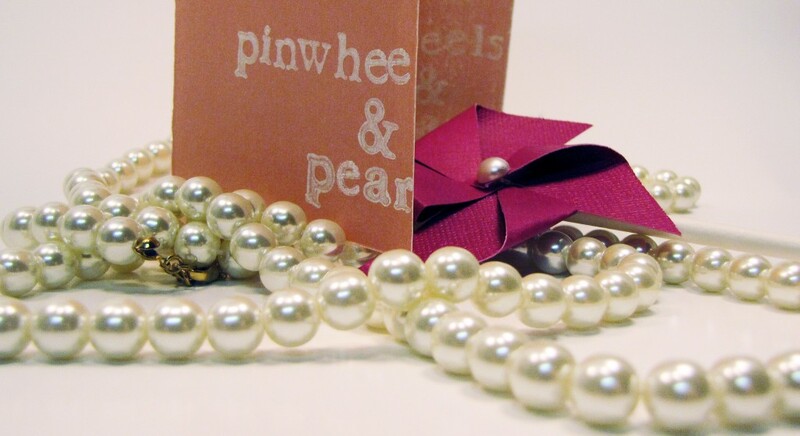 Secure your paper with glue, a button, sticker, flower or even a small shiny pearl. Attach with glue onto a dowel. Use for invitations, for party bunting, or even stick a few in cupcakes to serve as adorable toppers. 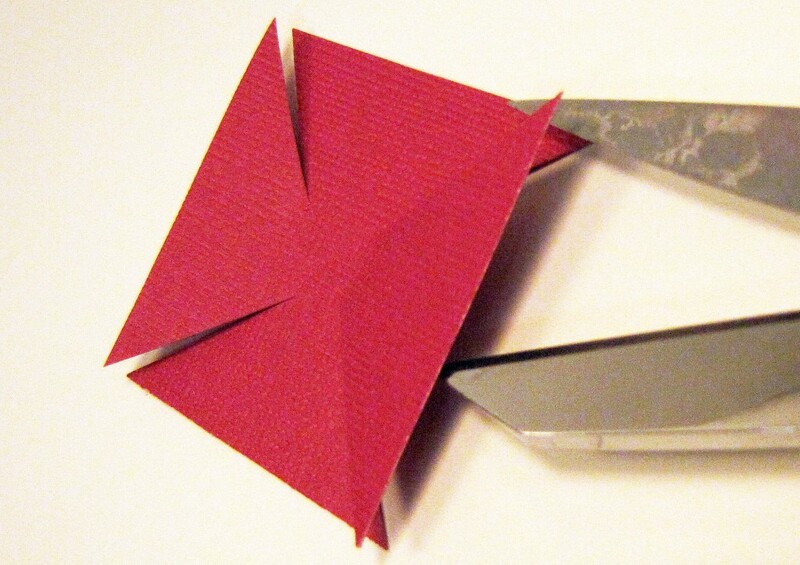 Use a small hole punch at the pinwheel corners you will be folding in, also punch a hole in the middle of the square. Connect the edges together by sliding a kitchen dowel through the lined-up holes. 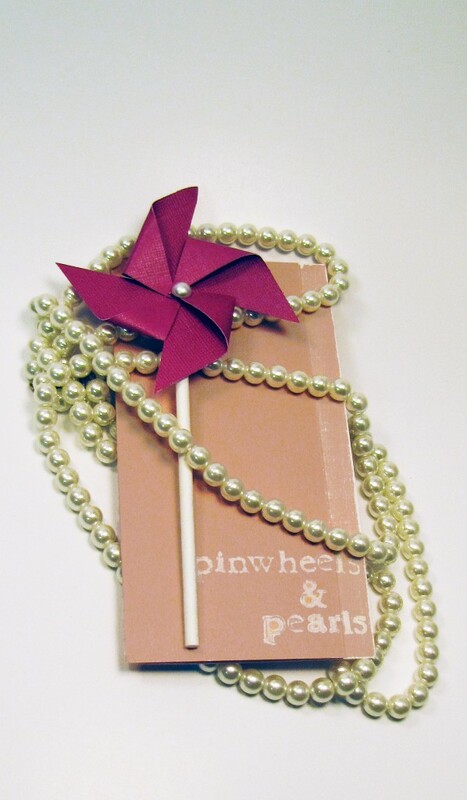 We attached a pearl onto the end of our dowels just for a bit of extra loveliness. 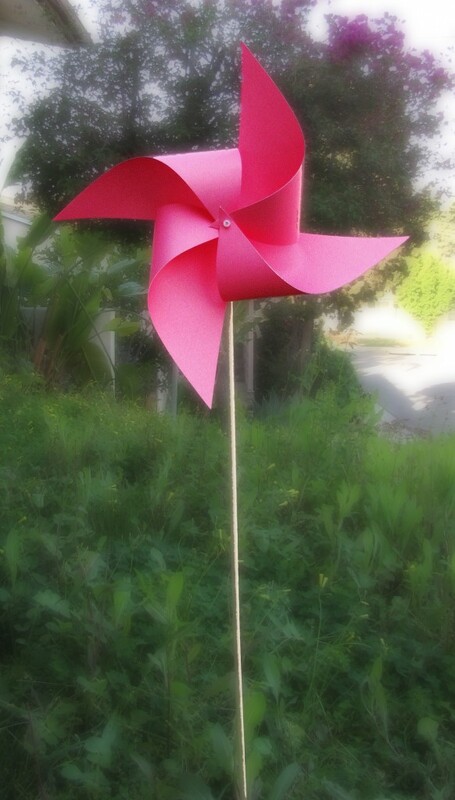 Hot glue the small dowel onto a larger stick, place in the ground and enjoy watching the wind blow through your new pinwheel. 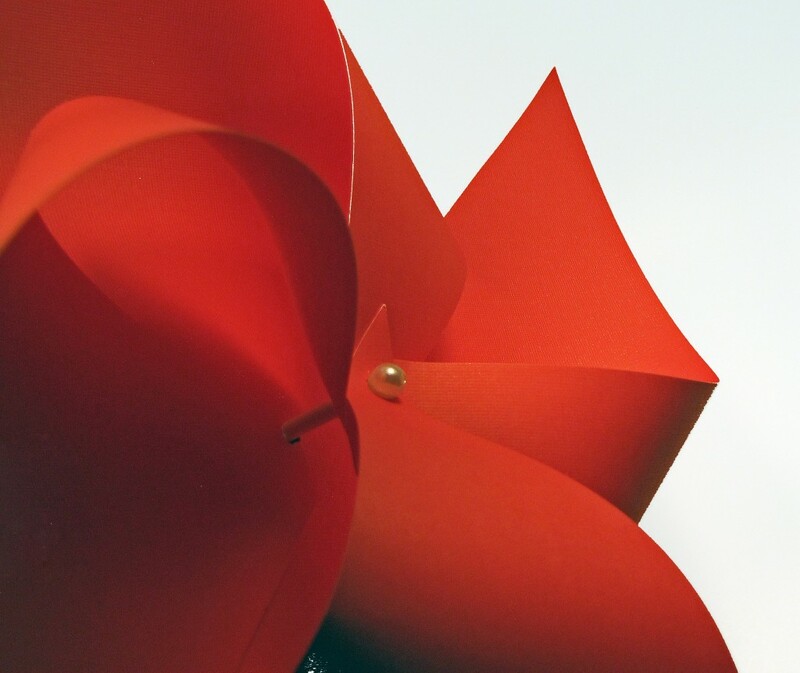 Warning: These are hazardous to your babies attention as they will sit mesmerized by pinwheels for hours. PS. Here are a few more fun paper DIYs, including this adorable color block paper wreath and paper leaf party garland! You’ve got your position across much better than I ever could, many thanks! I love this tutorial! 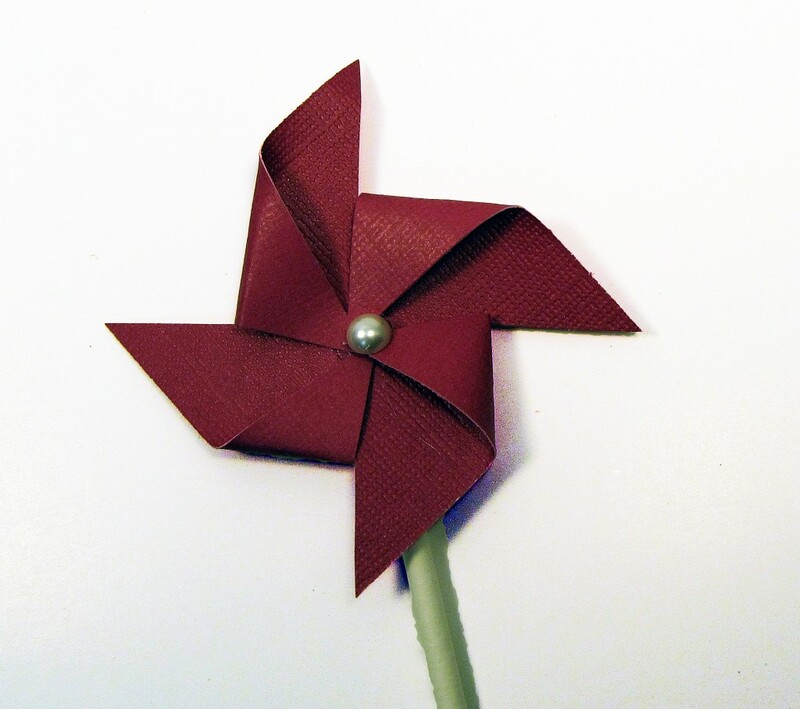 I’ve always wanted to make my own pinwheels (just for the fun of it :D) but I thought it would be a little challenging. But after looking at this, it really isn’t. Thanks a bunch! Pingback: PaperWorks Co. Blog » Blog Archive » Puddles of Fun! This is so much easier than I thought it was going to be! Thanks so much for this awesome and very helpful tutorial! I shared this tutorial in a group of things that are giving me inspiration for the play area. 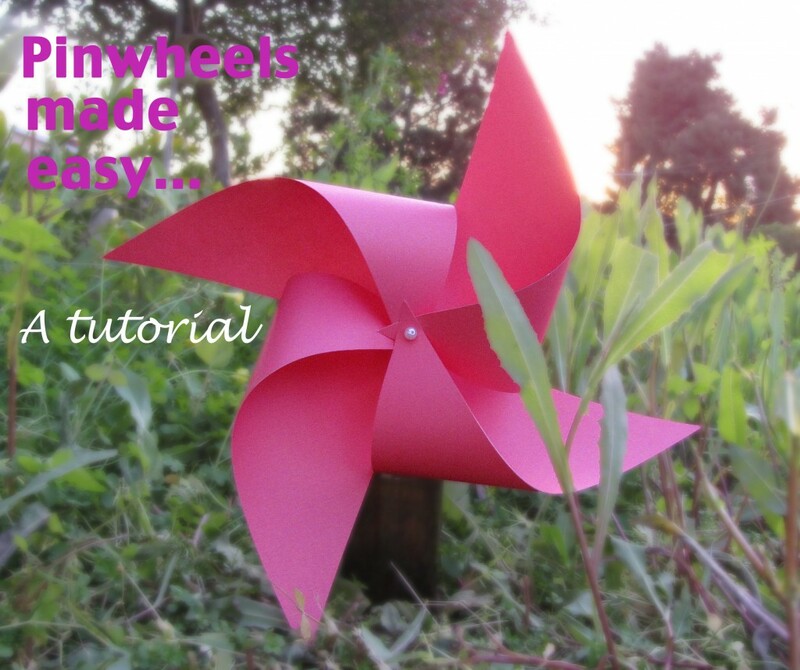 Thanks for this easy peasy tut on making pinwheels. I needed something quick and this was incredibly easy and quick. Loved it!!!!! Pingback: Double the babies, double the fun! « Emily Katherine Designs Blog – Designing Handcrafted Beaded Jewelry and Much More!